This past weekend was another step of faith (or insanity with the amount of training I've been doing over the past year?!) 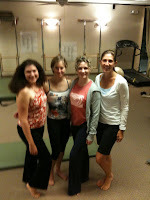 ... a 3 month Peak Pilates (PPS2) training with a fun, talented, and amazing group of women that I got to know a year ago at our first (PPS1) training (http://smithfamilyinkaty.blogspot.com/2008/12/pilates.html). With hundreds of hours of practice and teaching behind us, we have more to come... and I cannot wait. I believe Pilates and Yoga are a beautiful compliment to each other. The order of exercises or the method of Pilates has a purpose of creating a muscle memory in the body. The same is true when you do Surya Namaskar or another Kriya in Yoga. When done with proper alignment and form, the body creates an engram (muscle memory) of it and then you have the possibility to progress or give yourself permission not to. For me, it all comes down to movement. 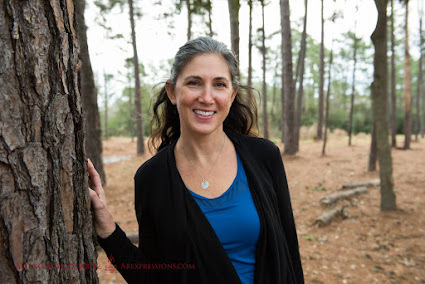 There are some days where I should just move (or dance as Puja would say-- without fear of incorrect form and with total freedom in the body) and there are other days where the art of practicing a sequence creates something beautiful within me. Just moving. Simply moving.